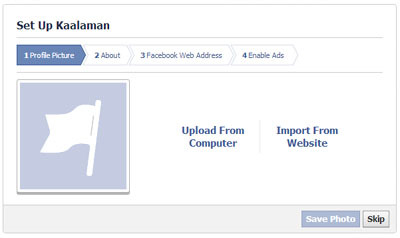 This tutorial will teach users of Facebook how to create a Page. Formerly known as the Fan Page, pages are now widely used for a variety of promotional and marketing purposes. Unlike individual accounts which are allowed at most 5,000 friends, Pages are not constrained in terms of the number of users. Please note the date of this article as Facebook is always making tweaks to its systems and this post may not be relevant after a period of time. Drag your mouse and over the word Pages to bring out the clickable More hyperlink. Click on the word More to bring out all existing Friends lists. Click the Create Page button to go to the Create a Page page. 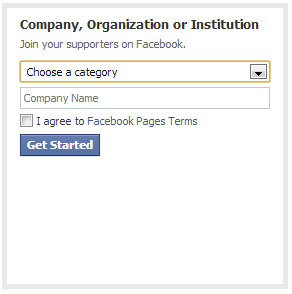 Choose the type of page that you wish to create and click on the appropriate box. The options given are: Local Business or Place; Company, Institution or Organization; Brand or Product; Artist, Band or Public Figure; Entertainment; and Cause or Community. 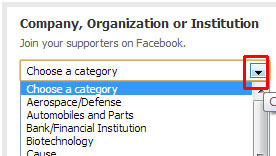 For our purposes, we shall click on the option Company, Institution or Organization. Clicking on the box brings up this dialogue box. Click on the inverted arrowhead beside the phrase Choose a Category to bring down a menu of choices. Pick one that represents your organization closest if not fits exactly. Type your company name into the form box. 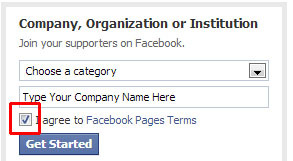 Make sure you click the small box beside I agree to Facebook Pages Terms. When done, click the Get Started button. For the purposes of this tutorial, I have given the new page the name Kaalaman. The dialogue page will appear like this after you have created your first page. That’s it! You have created your first page and the dialogue box will ask for a profile picture, a description, a description and an address. 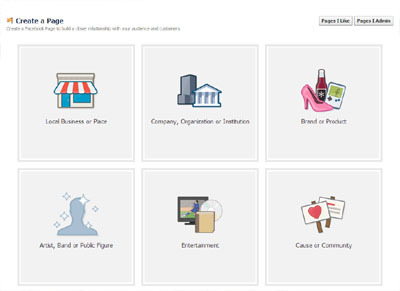 Tweaking settings for Facebook Pages will be discussed in a separate tutorial.